Many movies franchises we know and love died a death, and did so with some grace and poise. Perhaps the same cannot be said for the Fast & Furious legacy. Although the most recognizable cars to come out of the franchise include the Chevelle SS and R34 Skyline GTR amongst others, there is one such member of the crew that’s coming up for auction at Barrett-Jackson next month, and it’s not American or JDM. 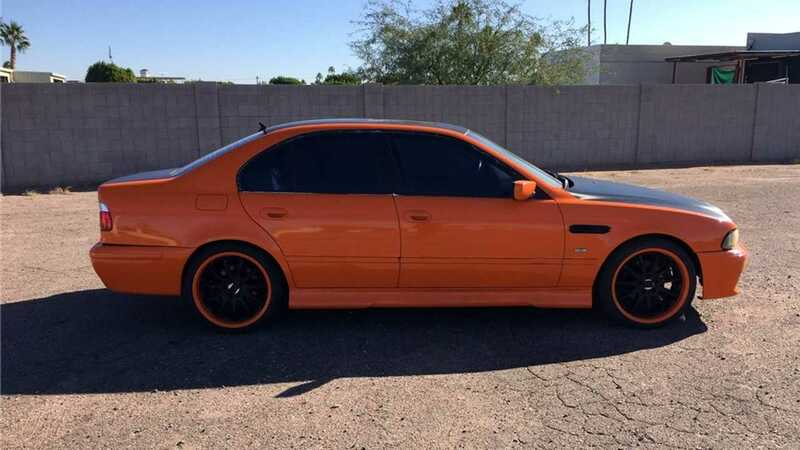 This E39 BMW 528i featured in the fourth installment known as simply Fast & Furious. Their amusing sequel names aside, this BMW is allegedly just one of two survivors from the movie, despite the fact 11 were employed to help out. To shed some light on why so few survived, a quick flick through the film shows the E39’s untimely death by barrel rolling over a rather fantastic number of cars on the streets of Los Angeles. 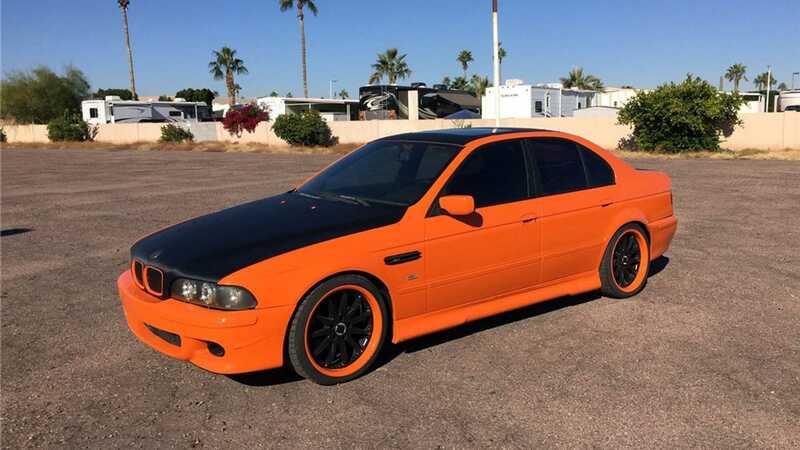 Although the car is evidently meant to represent a garishly modified M5, the production office either had more sense than money, or thought it criminal to destroy multiple examples of the ultimate super saloon of the late nineties. Despite being a cooking model 528i, the car has a locked rear differential, evidently done to allow the film crew to perform some of the most outrageous drifts possible with the laws of physics bestowed upon us. 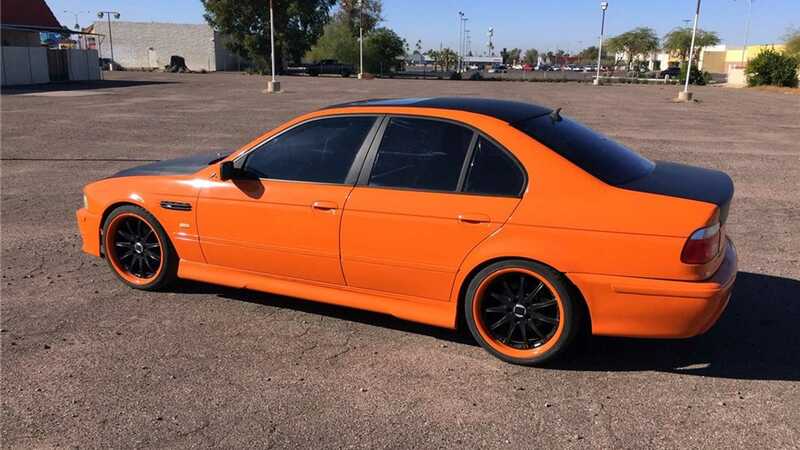 Barrett-Jackson describes the car as having an upgraded inline six, although what upgrades have been performed are unconfirmed. As with the rear differential, which could be a true limited slip upgrade, or perhaps simply a welded one. 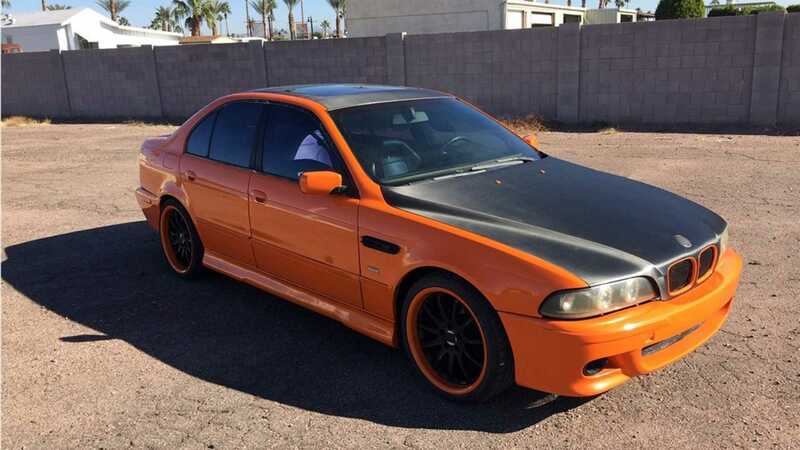 No interior shots are provided, so one cannot confirm whether the roll cage as per the interior shots car is present, however the carbon effect hood, roof and deck lid are present, along with the M5 esque side grilles. Let’s just hope the new owner doesn’t meet the same despite as Brandon T. Jackson.